It’s finally here!! A few months ago I was reading InStyle and saw that Michael Kors had done a special edition 100 Series watch. The actual watch itself is beautiful and the positive message and use of the proceeds helped me decide it was the appropriate time to purchase a fancy watch. The face is turquoise blue and has the world map embossed onto it. I ordered this a few months ago and it finally arrived on Saturday evening when I got home late. What a nice end to a great day! 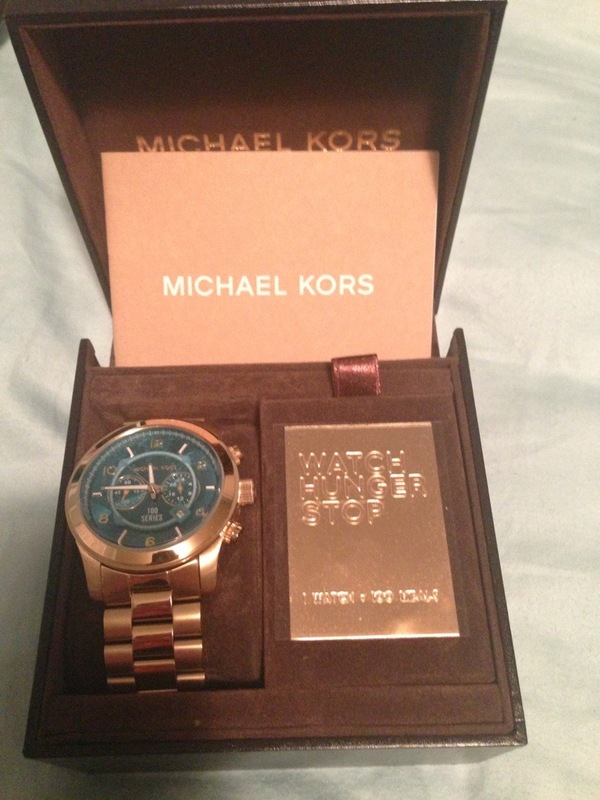 This entry was tagged 100 series, michael kors, watch hunger stop, watches, world map. Bookmark the permalink.